In a small town in Indiana, on the cusp of the new millennium, local reporter Alice Becotte wants what should be simple: a baby to fill her heart and complete her family. But Alice's husband Rolly, a talented sculptor, harbors ambitions that draw him away from a steady teaching gig at a "backwater" college and unravel the couple's moorings. Principles of Navigation explores Alice and Rolly's journey through loss, infidelity and heartbreak. When each partner is tested and found wanting, they are forced to find a way to move on, without map or compass, guided only by fragile and fleeting glimpses of grace. Lynn Sloan is a writer and photographer who grew up as an Air Force brat, moving from state to state and country to country. Once she could decide where to live, she chose a share-your-tomatoes, shovel-your-neighbors'-snow neighborhood in Evanston, Illinois. She graduated from Northwestern University, earned a master's degree in photography at The Institute of Design, formerly the New Bauhaus. Her fine art photographs have been exhibited nationally and internationally, and collected by major museums. For many years, she taught in the photography department of Columbia College Chicago and wrote for Afterimage, Art Week, and Exposure. Writing about the visual arts led to writing fiction. Her stories have appeared in numerous journals, including American Literary Review, The Literary Review, Nimrod, and Sou'wester. 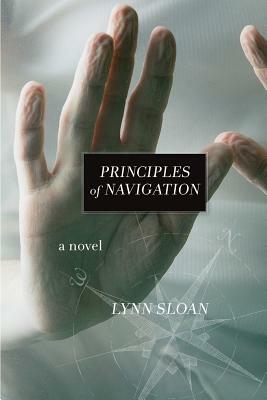 Principles of Navigation is her first novel.